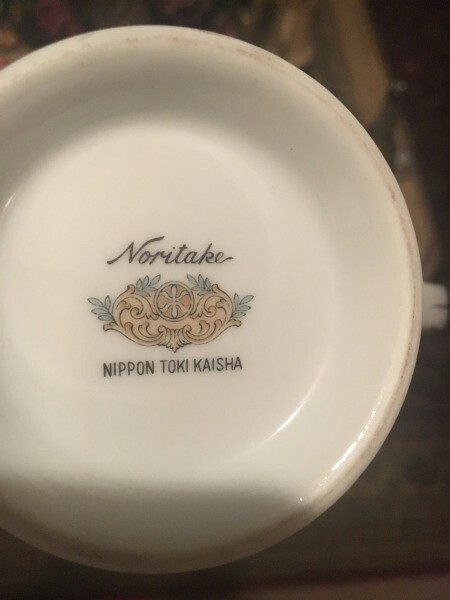 What is the value of Noritake N212 china 7 pc service for 8? Unfortunately there is very little demand for these pieces. All of the auctions at the moment are unsold on eBay at a variety of prices. Many of the auctions have been relisted over and over for months. And no one is willing to pay just about any asking price for them (although I think most sellers as WAY too much, but that is just me). You could try to contact Replacements Inc and see if they are buying this pattern. In 2010 I did quite well with a huge sale to them of my grandmother's dishes that I no longer wanted. My most recent experience with them was not bad, just that they are not buying most brands as the supply has skyrocketed and the demand has tanked. While they did not say this, I blame that woman who is the declutter person (Marie Kondo) for the supplies of things like dishes and most everything that people have decluttered cluttering the market for second hand items. This had driven prices for just about everything WAY, WAY, down. It is sad. Good if you are buying, terrible if you are trying to sell. Add to that that kids these days do not want dishes and oldsters like me have our grandparents, parents, and our own we are trying to sell off. Your best bet is to figure out a price that you would like to get for them, put them on Facebook Marketplace, LetGo or some local site and then take best offer OR if you can find a consignment store to take them off your hands and sell you for them, even better. They handle all the muss and fuss and you will get (hopefully) a little something. I wish I had better news for you! So sad as these were so valuable "back in the day". Sets of China (especially sets) are not really in demand as the younger generation just do not seem interested in having matching sets of anything. There is a lot of china for sale online but I do not see a lot of pieces being sold. It does appear that a lot of sellers are breaking up sets and listing a few pieces at a time but not a lot of this is being sold either. Many sellers list china and like some other items, leave it listed for months and even years. You may have already checked out Replacements but usually their prices are a good example of the value of individual pieces (but these are not the value that individual sellers may be able to get). You can contact replacements to see if they are interested in purchasing your set. If they are interested they will send you a price sheet with what they are willing to pay when it is delivered to their place (in excellent condition). Shipping any kind of china can be a big nightmare and especially if trying to ship a set. If you are interested in selling, I would suggest you list with a local site where you can have pick up only (you can also have pick up only with eBay). 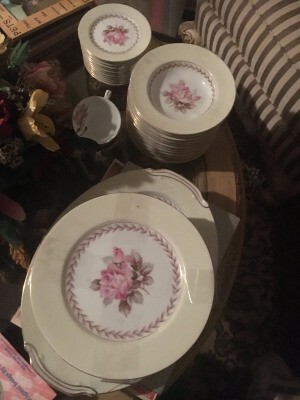 If you have a full set of service for 8 and hopefully some extra pieces (serving bowls, platters, etc) they would probably be valued at $500-$800. It may take a long time to sell but then again, the right person may see your set and make a quick purchase. This is an unknown so anything can happen. Wherever you decide to list you will need several very good pictures and good descriptions including measurements of pieces and note any chips,etc. Sometimes it is a better idea to try and find a local consignment shop even if you have to share the sale (maybe 40% of total) as this will remove the china from your house and there will be no shipping involved. Some may disagree with the value I placed on this set but I have found other similar patterns in Noritake that sold for over $800. I have no idea how long these sets had been listed or if they were "picked up" or shipped but it does show that several times a year someone in our wide world did sell a set for a lot of money. I believe if it were my set of china, I would be very happy to receive $250 -$350, especially if it could be sold in less than a year. I happened to see a Noritake set today for $200 (in a consignment shop) so there are sets for reasonable prices (in some cities.